Analogue warmth seems to be the Holy Grail in these digital days. But why does it hold such appeal, what does it do the sound? As I was working on a new OBERHEIM OB-X emulation tailored to my musical needs, I though about bringing into the party some analog code I have made earlier for the VSDSX VST (Simmons Drum Synth accurate emulation) and start tweaking on it...this really brings some extended harmonics and compression to the sound. If you stay gentle on the volume, this is a part of what is so called "warmth" sounding. Analog world is not perfect, vintage electronics components aren't either. Humans ears like more what is not perfect, this is a fact. The tape is also a good example of pleasant saturation and high frequencies compression. Ton of parameters are in effect in an analog system which induce a lot of non-linear modulations to the sound. 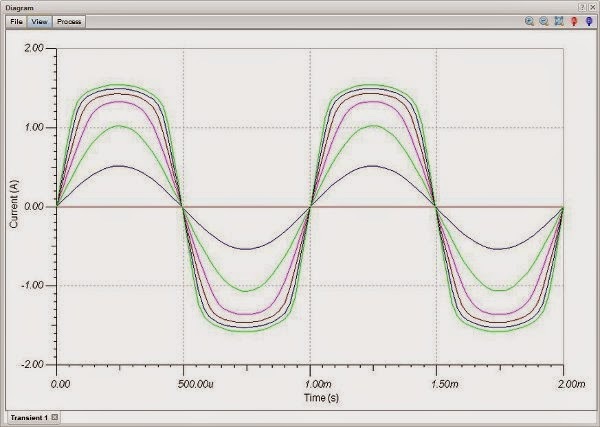 One of those effect is for example a Diode Clipping that will generate mostly third harmonic with a smaller amount of fifth, and lesser amounts of each additional higher odd-order harmonic. If a sound containing rich harmonic content like a digital saw oscillator is feeding a filter with a slightly saturated content it really gives the bass a nastier pleasant sound. 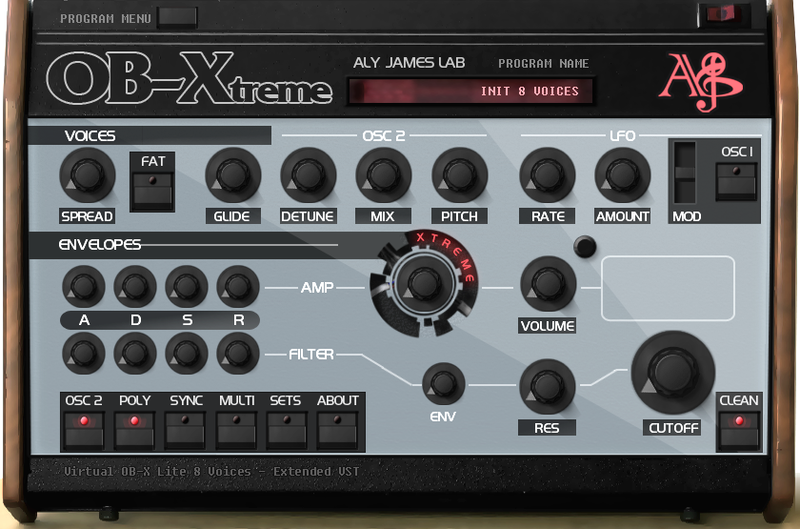 So back to the upcoming OB-Xtreme VST. It is a cut down version of an OB-X with less options than the original (there is already some VSTs for that), however the main characteristic features are there and it bring to the party a more analog sounding engine with the help of 2 controllable saturation stages, a FAT mode which is basically a polyphonic unison mode (8x8 Voices!) and an optional separate output for each of the 8 voice card. FMDRIVE VST + SPSG VST SEGA Original FM Synthesis and Square Waves Goodness Music playlist! You probably already heard a Simmons drum synth without even knowing it... wondering what was used to produce that huge drum sound? 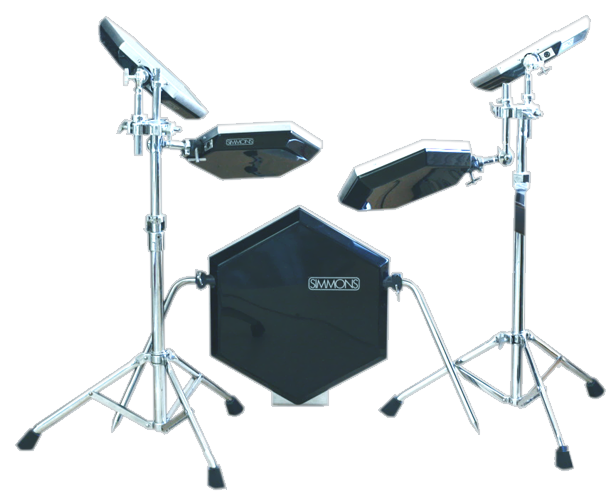 The Simmons hexagonal shaped electronic drums were all over the place, on countless records and live shows during the 80s, used by artists and bands like Genesis, King Crimson, Jean michel Jarre, Prince, Herbie hancock, Pink Floyd etc... The sound was not especially realistic but it was not the goal...the goal was to be huge and versatile. Invented by Dave Simmons, the most famous drum brain called the SDSV or SDS5 was a drum synthesizer, bringing synthesis into the drummer hands. Often used abusively to generate only those pewww pewww tom tom sounds, the SDSV module produced a wide range of sounds. With a great punch and sensitivity, a truly unique and cult sound, it can be used for almost everything. 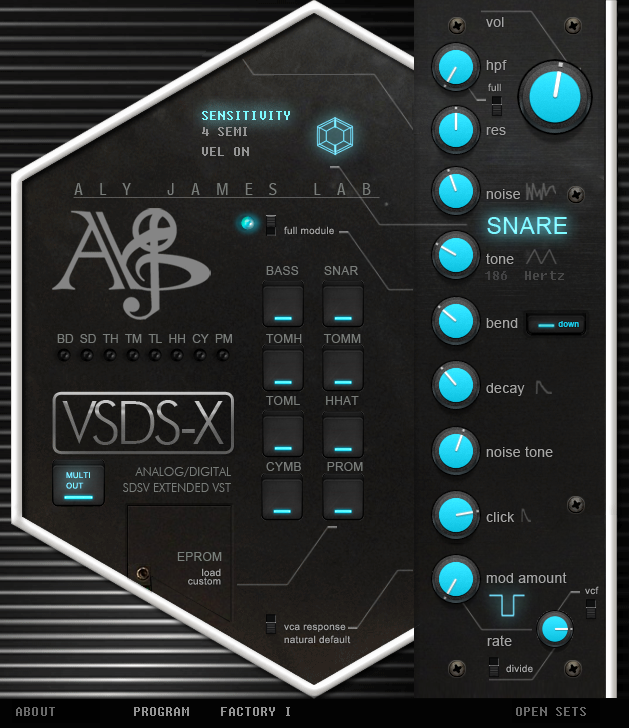 The SDSV successor called SDS7 bring some digital low-fi samples in the game and a bunch of additional features like bend direction or FM modulation for a broader range of possible sounds. I had to make the VSDSX! dedicated to Dave Simmons. 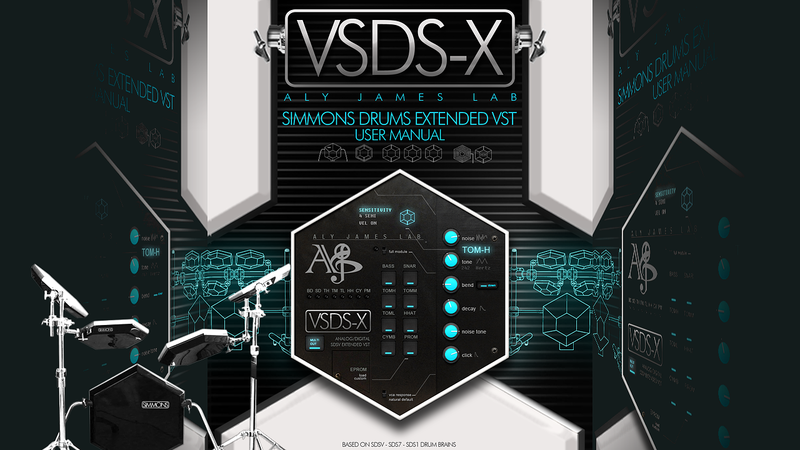 The VSDSX VST, which stands for Virtual Simmons Drum System eXtended, provides the closest experience to the real thing, it models accurately the analog character of the sound generation, internal circuitry, clocks and counters that read EPROM memory, feed the 8bit DAC which decodes the hihat and cymbal EPROMS data in realtime. You will obtain that legendary powerful analog punch! On top of the cake, one voice can load your own external EPROM data like on a real SDS1 (EPROM based) pad...This opens up onto a whole new range of sound, still being processed by the circuitry. 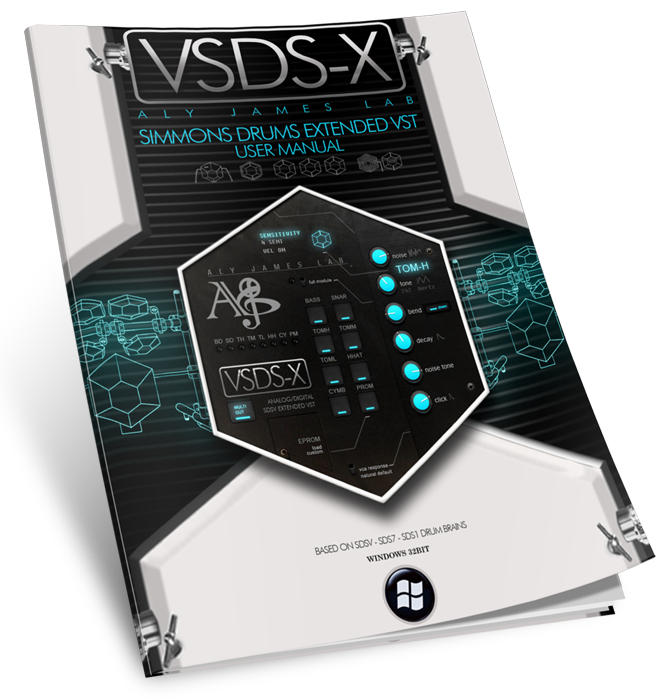 VSDSX provide a huge synthetic drum sound by itself and can also be used with great efficiency in drum layering. By using it with the VLINN LM1 VST it can really bring a nasty funky sound! You can find some reverse engineering and technical infos at www.alyjameslab.com and also download the free .pdf manual at the website.